Please read the policy carefully and contact us if you have any questions or concerns about our privacy practices. We collect the names, email addresses and queries set to us using our contact form. We use this to reply directly to enquiries about our services and by sending us this information you consent to us responding to it. We treat this information as confidential and do not share it with any other individuals or organisations. If, in the future, you no longer wish us to contact you or store your personal information, please contact us. We additionally collect names, email addresses, institutional affiliations and research interests in relation to publications on which we are contracted to provide editorial support (e.g. to identify or contact existing or potential authors, reviewers and editors). If you contact us or we gather this data from publicly available websites, we may share your data with the relevant client (usually a publisher or learned society), their service providers and contracted editors to allow us to fulfill our role on that publication. In this context, your data may also be added to our client’s own database or third-party software, such as editorial management software. We use a cookies tool on our website which relies on implied consent of users. We also use a third-party service, Google Analytics, to collect standard internet log information and details of visitor behaviour patterns. We do this to find out things such as the number of visitors to the various parts of the site. This information is only processed in a way which does not identify anyone. We only store minimal personal data to allow us to conduct our business and provide continuity to those we work with or who have contacted us about our services. The data that we do store is password protected on a limited number of devices, and accessible to limited individuals within the company. Links to external sites and resources from our website, do not constitute endorsements, and we do not take any responsibility for the content (or information contained within) any linked website. You can contact us or the Information Commissioner’s Office, as appropriate, to exercise these rights. Data subject rights may be limited in circumstances where it would compromise the anonymity of the peer review process. 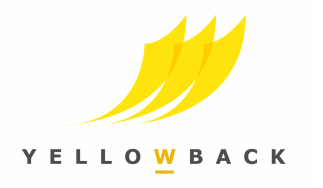 How to contact Yellowback Ltd.
Publishing, editing and peer review management services for authors and researchers, learned societies, publishers and other organisations. Combining academic knowledge with professional know-how to disseminate projects through the written word, online and in print. Personal and efficient project management, from managing whole journals to English-language editing for individual articles; from cover photography to publishing books. Proud team behind Yellowback Press.